Hey there power people. Make your way to the Market Street Movie Mega Plex. The current feature is the Lime Flashlight! 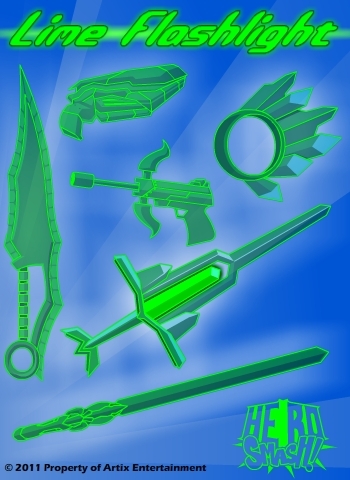 This super powered movie features special green energy items that will go perfectly with your official Lime Flashlight armor. No evil shall get away from my team! The mentor system got a major upgrade today – A brand new mentor. The main four mentors that you know and love will always be there to guide all players through the game. 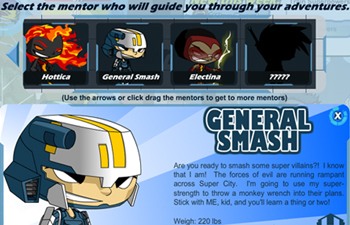 However HeroSmash VIP Members will be able to have access to new mentors. These new members will have special missions that only they can hand out. These missions will reward you with special items, or powers, or whatever they want to give you. The first of these new mentors is up now. There is a catch. You have to find out how to unlock the new mystery mentors. It’s a secret. I could tell you but then I would explode. And I really don’t want to do that today. Here is a hint – Play the missions to unlock our first mentor. 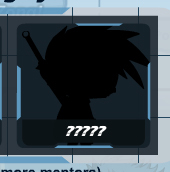 If you have played all the missions, then check and see if you have the new mystery mentor.